Like most people looking for some adventure, the Crazy Train often overlooks the little gems that are closer to the homestead. Yesterday, the clouds had finally cleared, the sun appeared after several depressing days of cold and dampness, and we had a few hours to kill. 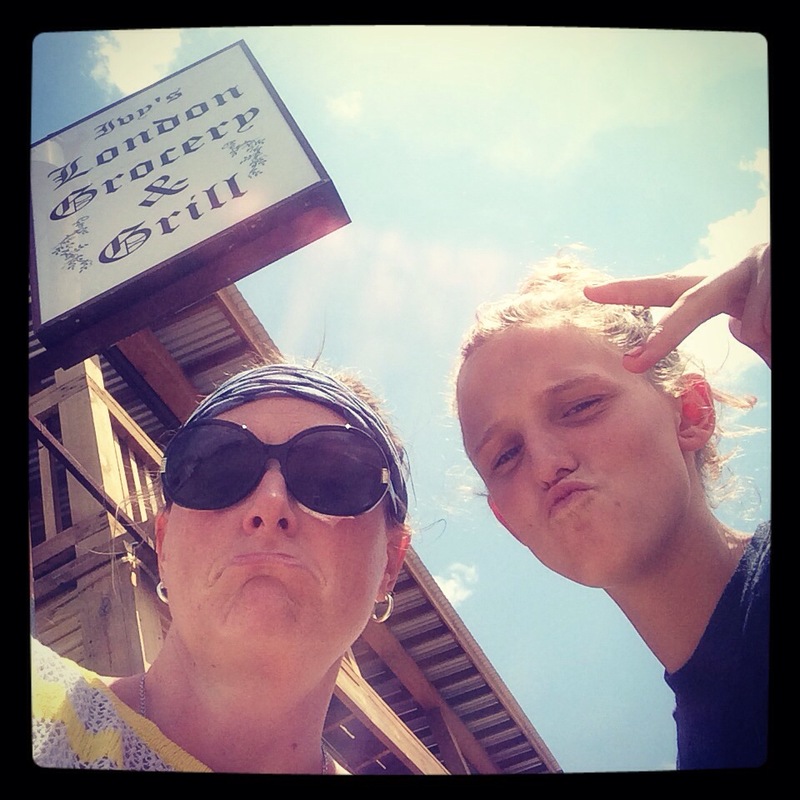 So we set our sites on the towns of Lockhart and Luling. Lockhart is famous for Texas BBQ, and Luling for Texas Tea—OIL. We decided to squeeze in both. Since I’ve been avoiding shopping for the past way-too-long, our cupboards were bare, so we jumped in the SSPhelps and hit the road, our sites set on Caldwell County. Our first order of business would be food. Rumbling tummies always take top priority. In Lockhart, there are four Q joints, three of them rising to the coveted status of the Texas Monthly Top 50 List. Kreuz (pronounced “Krites”), Black’s, and Smitty’s. (If you’re not a friend of the Crazy Train, then you should know that one of the driving forces of the Train is Texas BBQ, and we’ll drive for hours to stand in line for the good stuff!) 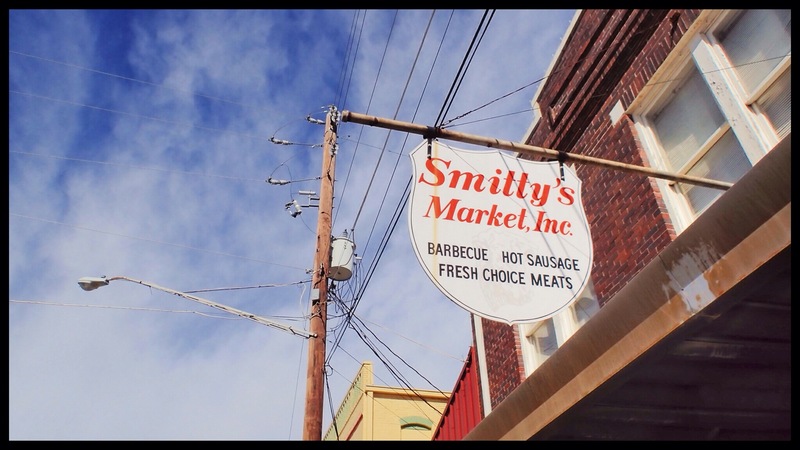 We’ve recently been to Black’s and Kreuz, so we decided on Smitty’s—and we were NOT disappointed. My first foray into Lockhart BBQ was back in the early 1990s. 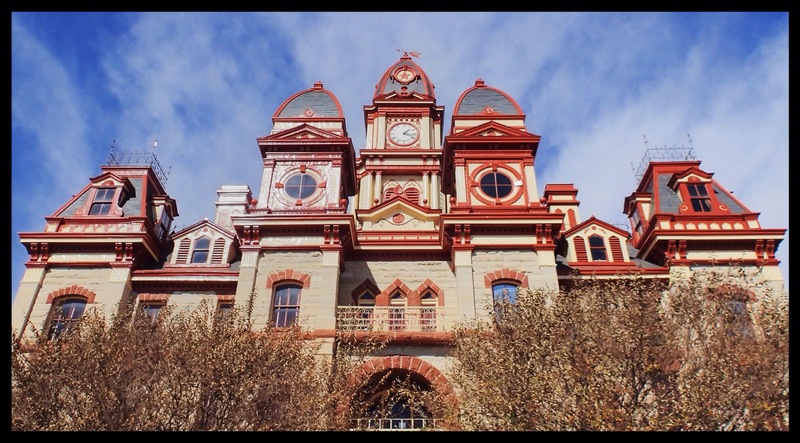 As a photography major at St Edward’s University in Austin, we’d occasionally trek to Lockhart for lunch and picture taking. Back then, I remember two choices: Kreuz and Black’s. The only differences between them (that I could remember) were that Black’s had plates, sauce, and silverware, and Kreuz had butcher paper, no sauce, and no silverware—but they had knives that were chained to the tables. 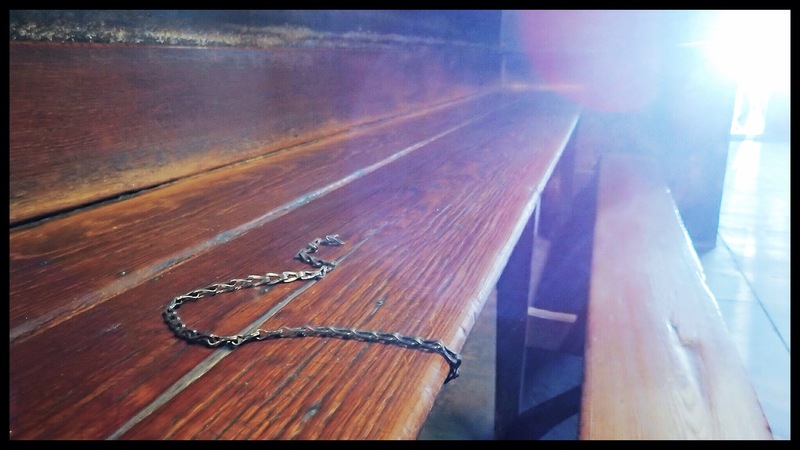 I think we usually ended up at Black’s because of the whole silverware thing, but the knives-on-chains thing at Kreuz was always fun too. So when the Crazy Train hit Kreuz a few months ago, I was confused. It was NOT like I remembered. NOTHING. Not on the square, it was new, and it was WAY big. And where the heck were the knives on chains? Clearly I’d lost my mind. Having graduated from college and no longer living nearby, I was unaware of the events that had unfolded in my absence. Since I HAVE to know, I nosed around and got the skinny. In 1900, German butcher/grocer Charles Kreuz Sr. set up shop in Lockhart. Refrigeration being what it was (and Germans hating waste) Kreutz devised an alternative to trashing unsold meat—he made sausage from the lesser cuts and smoked the better ones, then slow-cooked it all over BBQ pits he built out back. He sold the meat wrapped in butcher paper, and customers often ate it with nothing but a pocket knife and their hands. In 1948, Kreuz Jr sold the whole kit and kaboodle to his longtime employee, Edgar “Smitty” Schmidt. Smitty kept the status quo until the 1960s when he closed the grocery, keeping only a few “side” items that customers enjoyed with their meat. In 1984, he sold the business to his sons, who ran things just like dear old Dad. Until 1997, that is. Word on the street is that one son decided to retire, and a kerfuffle arose as to how to proceed. 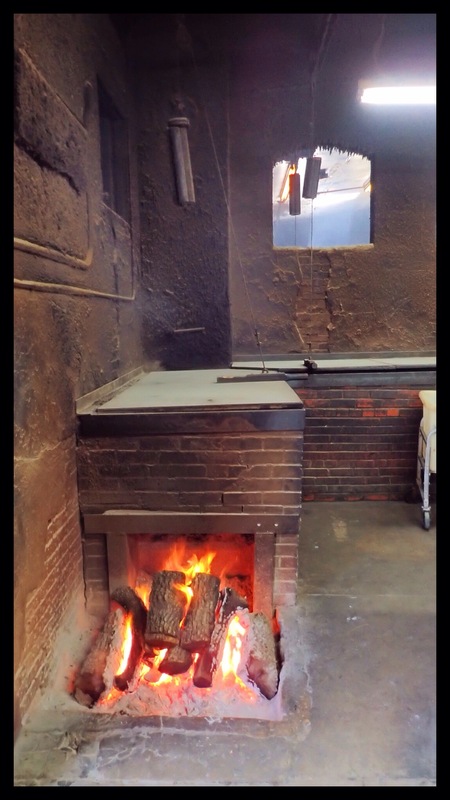 After some in-family negotiations, one son got the building and the other son’s kids got the then 99-year old business name “Kreuz.” The Kruez kids hauled some of the original hot coals ¼ mile north where they built a ginormous BBQ palace. The kids with the building kept the original pit fires roaring, re-christened the historic joint “Smitty’s,” and the Health Department 86’d the chained knives. Some baloney about sanitation and safety. Anyhow, the Crazy Train (minus Mags) decided on Smitty’s. We arrived just before the lunch rush, and I am giddy that we did! The ribs were unbelievable. I’m usually a brisket and beef ribs girl, but the pork ribs were fanfreakingtastic. Still no silverware, still no plates. The atmosphere was great (as I remembered!) 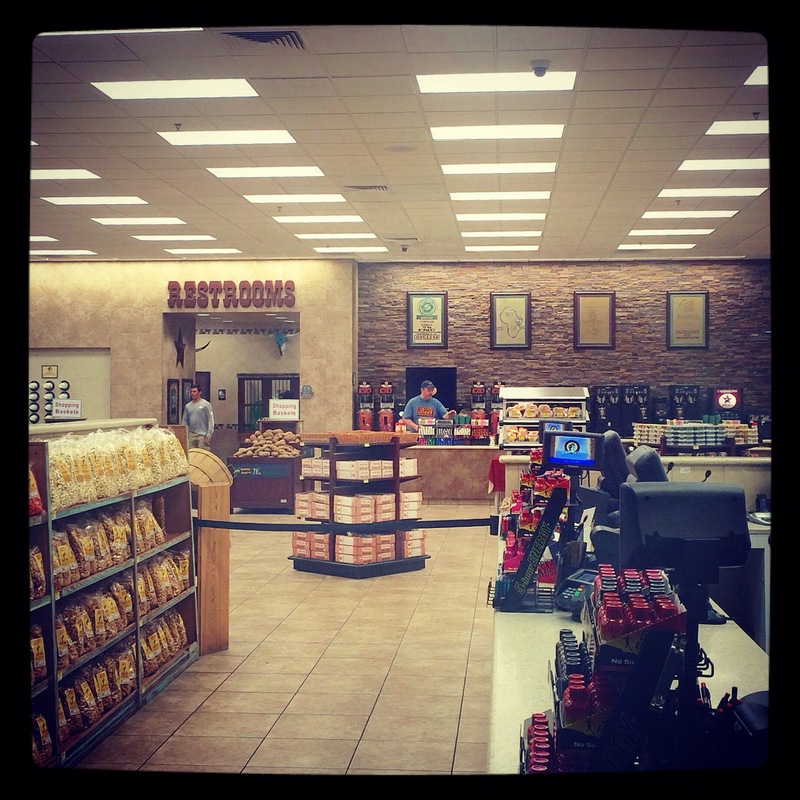 and the employees made us feel just as at home as Tootsie and Kerry do in Lexington. I chatted with one employee about how I hadn’t been in since my college days and that I wanted to take some pictures. She told me to make myself at home, and if I wanted a tour or to go into the kitchen or ANYWHERE, to just let her know and she’d take me ANYWHERE. Love, love, LOVE. 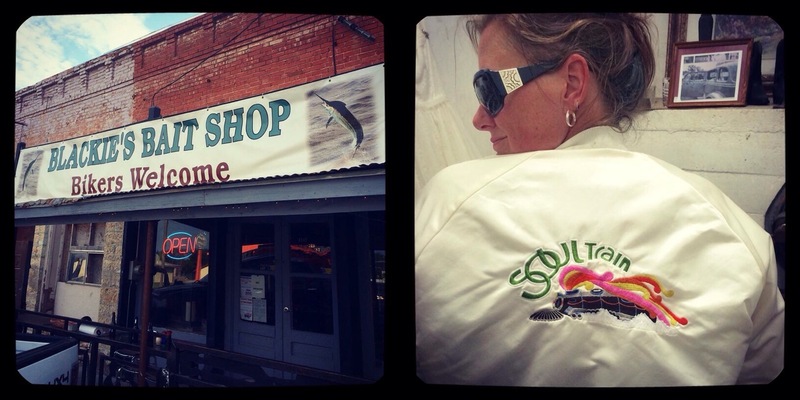 After filling our tummies with delicious Q, we strolled around downtown for a bit before heading south to Luling. 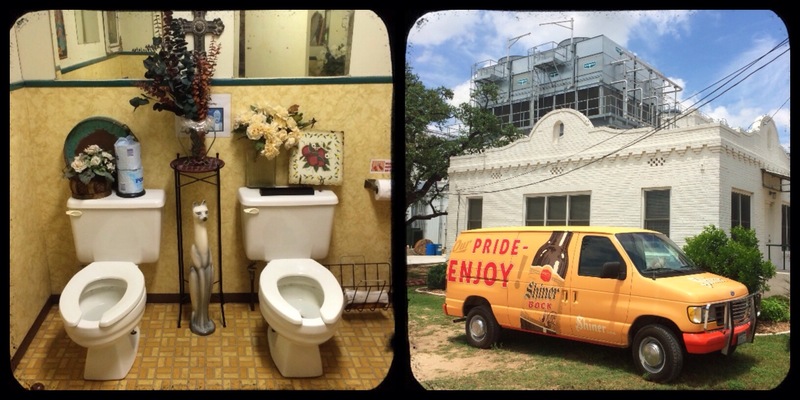 One thing about Luling is that you know you’re getting close because you can smell it. So whenever we’re headed that way, I start singing “it’s beginning to smell a lot like Luling!” to the tune of “It’s Beginning to Look a Lot Like Christmas.” The kids hate it, which makes me sing it louder and more enthusiastically than I would if they’d just keep their yaps shut. Before the railroads and cowboys arrived, the heavily wooded land where the San Marcos River and Plum Creek converged was the place where the warlike Commanche Indians set up their winter camps. Here, they fought with other tribes, Mexican silver miners, and Republic of Texas settlers. In 1874, the advance crew of the Galveston, Harrisburg, and San Antonio Railroad came to a halt when they had difficulty building a bridge over the steep gorge of the San Marcos River. This bottleneck forced a town to spring up literally overnight, leaving no time for the sheriff, located 16 miles away in Lockhart, to establish adequate law enforcement. The shantytown quickly descended into chaos, becoming infamous as a place of lawlessness. Like moths to a flame, outlaws, gamblers, felons, gunmen, desperadoes, cardsharps, bandits, and other ne’er do wells were drawn to “The Toughest Town in Texas,” a town with more than 40 saloons—more than twice the number of other businesses—and no churches. By 1877, the sheriff hired some no-nonsense deputies, and quickly, Luling became a law-abiding community. When the great cattle drives ended in the 1880s, cotton farming took over as the leading source of income. Enter Edgar B. Davis. In the 19teens, this eccentric millionaire businessman sold off his majority shareholdings of the United States Rubber Company, gave most of his fortune away, and came to Luling to manage his brother Oscar’s oil leases. Edgar was religious, and believed that God sent him to Texas to save the town from its one-crop farming oppression and to lead it to prosperity through oil. In 1921, Oscar died, and Edgar bought up his oil leases. Although geologists told him there was no oil in Luling, Edgar insisted on listening to the advice of the bluebonnets instead. Seriously. Legend has it that he got down on the ground, put his ear to the bluebonnets, and the flowers told him the geologists were wrong. Turns out that the bluebonnets were right. 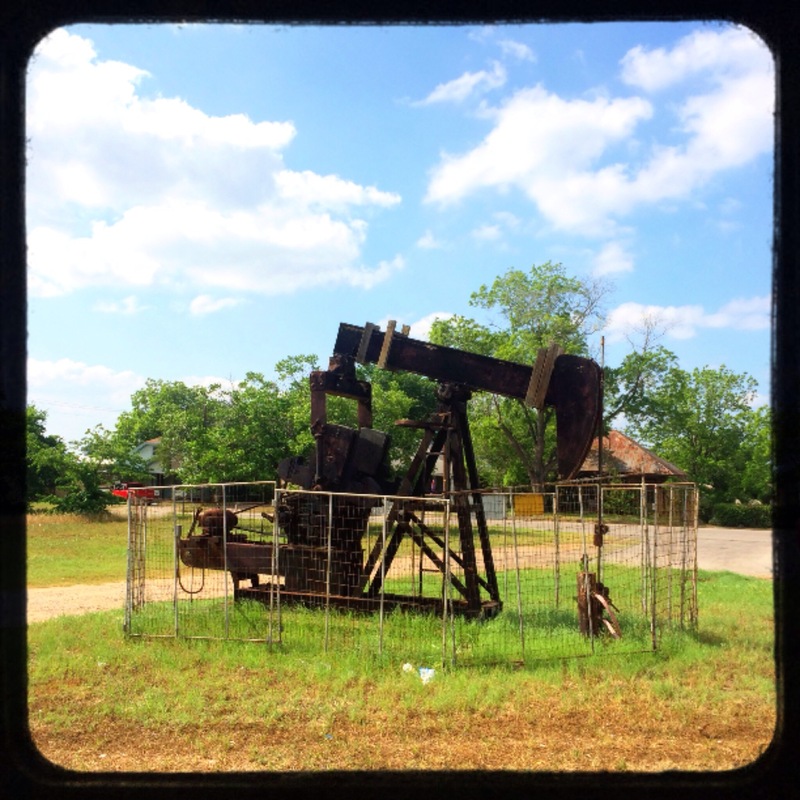 The first six of Davis’ oil wells were, in fact, dry. However, oil gushed from the seventh. On August 9, 1922, the Rafael Rios No.1 opened up the 12×2 mile long Luling Oil Field that immediately produced tens of thousands of barrels of oil. In 1926, Davis made what was, at the time, the biggest oil deal in Texas history. True to his generous spirit, he gave huge bonuses to his employees and made considerable philanthropic contributions throughout town. The Depression was unkind to this generous man, and he spent his final years paying off debt. Edgar B Davis died in 1951, and was buried beside one of his former homes in Luling—the same site where, 15 years later, a hospital would be built and named in his honor. On June 11, 1926, just after completing his legendary oil deal, Edgar B Davis threw the biggest and most lavish appreciation picnic for his employees and friends. The BBQ drew an estimated 30,000 guests, and cost about $5 million. That’s upwards of $35 million in today’s dollars. At the picnic site, Edgar had a Bath House constructed as a gift to the City. The Bath House’s thick, steel-reinforced walls would provide a cool shelter for swimmers and parents, be a great gathering place for teenagers, and be sturdy enough to withstand temperamental flooding of the San Marcos River. At the big picnic, Mr Davis supplied a bazillion bottled drinks to accompany the gazillion tons of BBQ he had served up. Unfortunately, a jillion of these bottles ended up smashed in and around the river, leaving enough broken glass to bloody visitors’ feet for decades. This pillbox of a building, cool in the summer, and perfectly perched between the park, the golf course, and the river, fell into ruin, unusable for all the broken glass. In the 1940s, the decorative wrought iron was cut away and scrapped for the war effort. Vandals began to deface it, creating an eyesore. The decision was made to raze the Bath House, but, Mr Davis’ brilliant construction saved the structure from becoming a footnote in Luling’s history. They COULD NOT BULLDOZE IT. It was impenetrable. So rather than continue to watch the Bath House suffer further degradation, the city buried it. With dirt. Soon, the dirt sprouted grass and weeds and plants and trees and became a little hill in the park. The City of Luling had sent Edgar Davis’ gift to its grave by the river. But, the little Bath House wouldn’t go down without a fight. That brilliant construction that was intended to safeguard the Bath House from flooding ultimately allowed it to arise from the grave. As rivers in Texas are prone to doing, the San Marcos flooded and the dirt and grass and weeds and trees and most of that broken glass was just swept down stream out to the Gulf of Mexico. Now, Edgar Davis’ little Bath House is above ground—mostly. 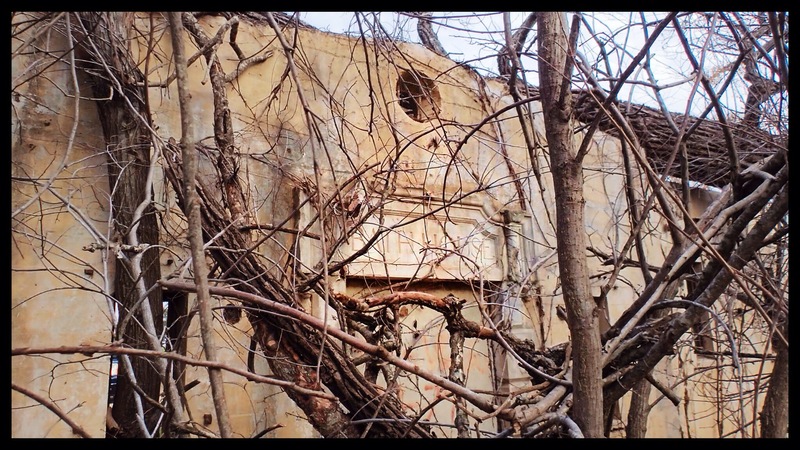 It’s covered in graffiti with trees growing out its windows, but it’s as strong as ever. 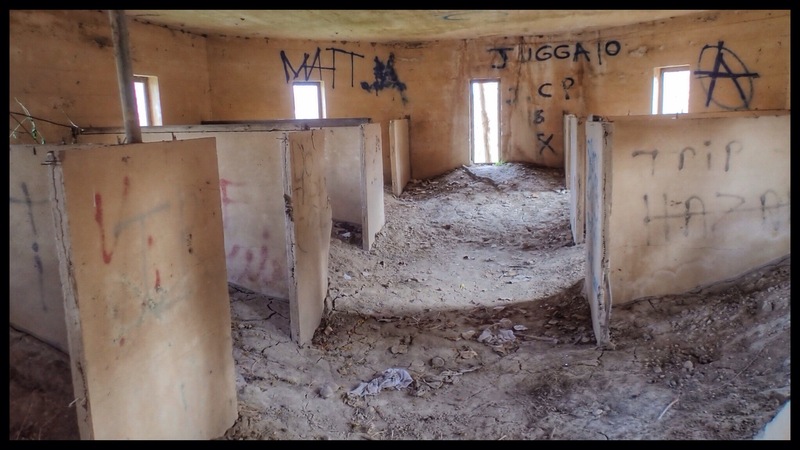 With a little elbow grease (and maybe a little of the philanthropy that Mr Davis was so well-known for) the Bath House could actually be used for its original purpose. Maybe a staircase down to the water, some old-fashioned shoveling, and a power-wash, and Luling could use Mr Davis’ generous gift. (Personally, We’d like to see a Texas Historical Marker on it—it kinda deserves one.) But, until a Lulingite with a few extra coins takes the lead, the Bath House will sit there, waiting for people like us to find it and give it a little respect. Top Ten 2014 Crazy Train Destinations I Haven’t Blogged About… Yet. 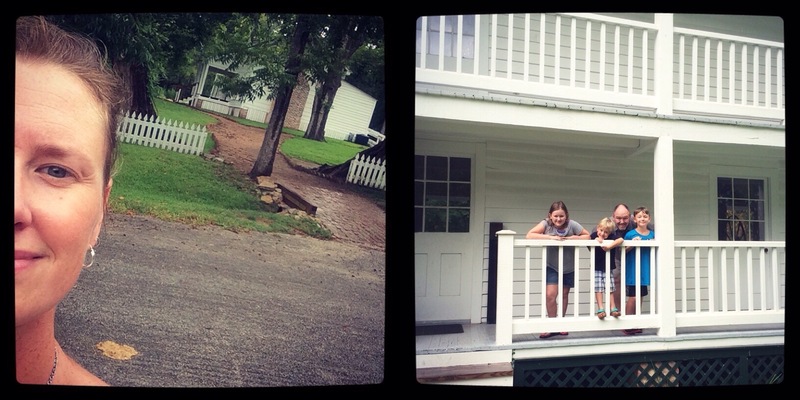 We’ve been backroads road-tripping since before the kids– I only just started blogging about it. There are countless places I haven’t written about yet. 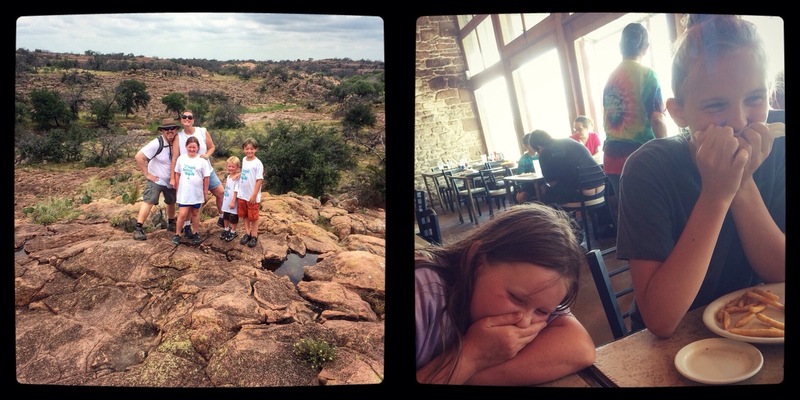 With all the end-of-year lists emerging, I wanted to share my Top 10 Texas Destinations of 2014 that I haven’t blogged about yet. This is just the tip of the iceberg! These are in no particular order since they’re so different, so I’ll just list ’em as I think of ’em! We went to Bandera for the National Day of the American Cowboy. We had a great day and wanted to spend the night, but learned a valuable lesson: Sometimes advance hotel reservations are necessary, or else you find yourself at Buckees at 3am for coffee. One of these days, we’ll make it to Shiner on a weekday when the brewery is open. Until then, the “Antiques Art & Beer” place is my favorite spot. Especially the ladies room. 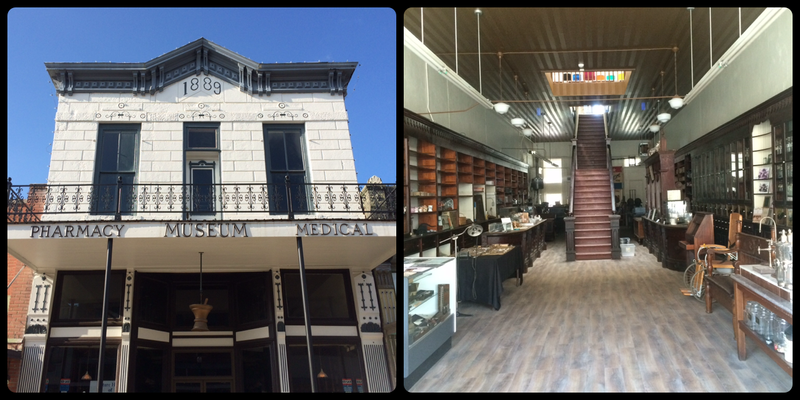 We had no idea there was a Pharmacy Museum in Cuero (heck, we’d never even heard of Cuero either). From the outside, it looked cool. The lady in the liquor store across the street said it’d been in the works for ever, but still hadn’t opened. Once it is, we’re there! 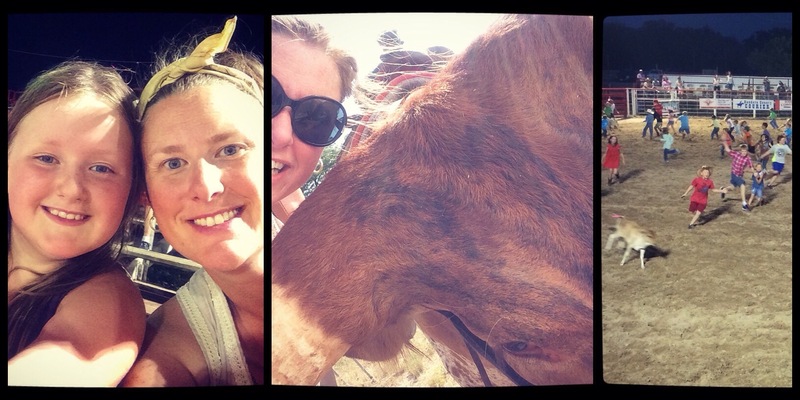 For Mag’s birthday, we went on a topaz dig on a private ranch in Mason. It was pretty awesome. Then we explored the downtown square, although everything was closed for the day (weekends are tough for roadtripping to small towns). We’d like to go back and do the whole thing again…. minus the crack. 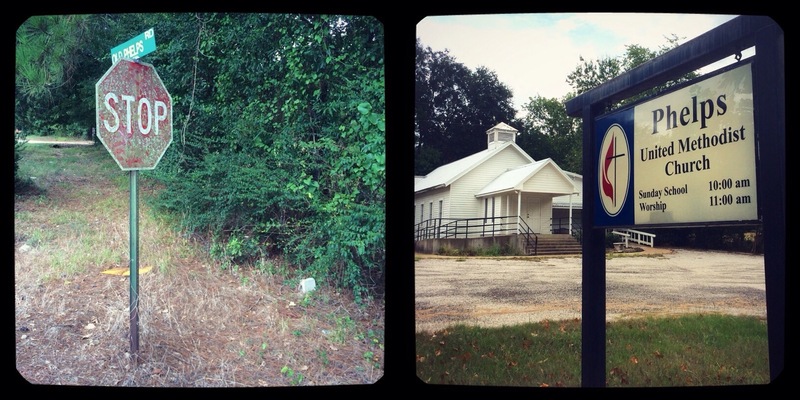 We’d heard that Hallettsville is a great little town, but we’ve never been on a day when everything was open. 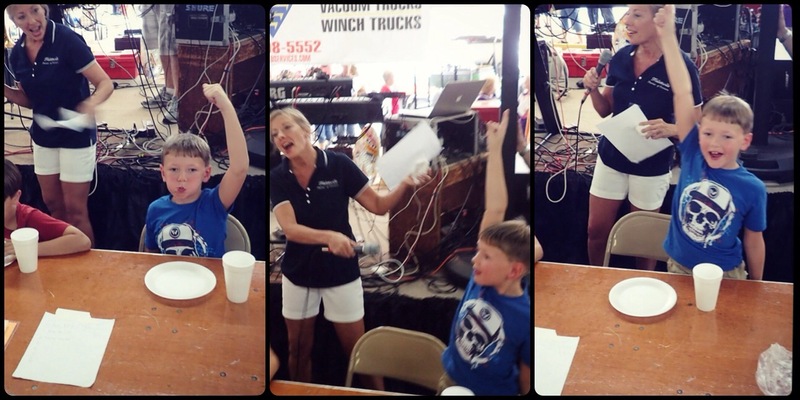 We’ve been through on a Sunday, and we went back for their Kolache Festival where William took the title of Kolache Eating Champion, 10 & Under Division. THAT was a day to remember! Raina and I had High Tea in downtown London. Yes, I’ll blog about it. Not sure if we’ll be headed back, but at least we can tell everyone that we went to London and had tea. Who knew that the “Come and Take It” cannon was still around and that you could actually see it? 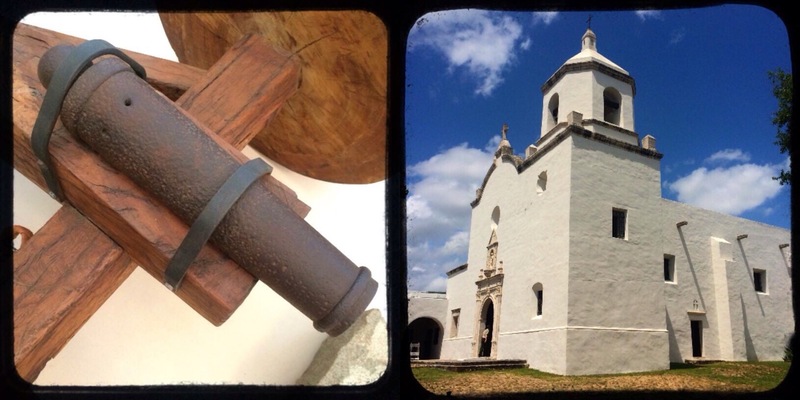 Both Gonzales and Goliad had a lot of interesting historical spots, and they’re pretty close together. I’m really looking forward to blogging about both places. I’ve always thought of Huntsville as the prison town. But it was fantastically beautiful. With Sam Houston State University, countless cool historic sites, and all the cool antique dealers on the square, we are definitely planning a return trip. 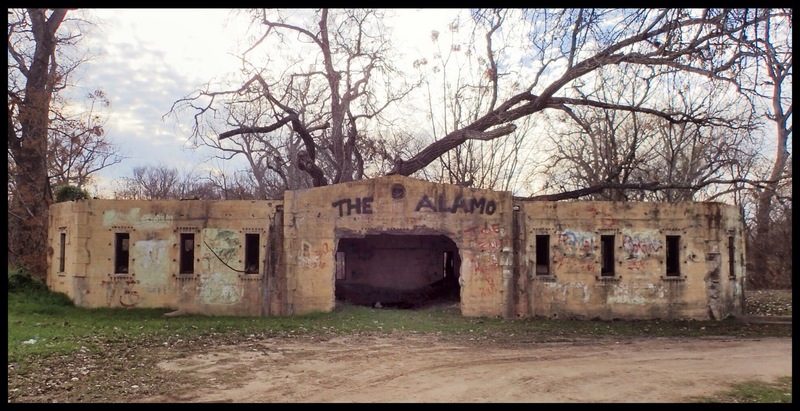 Out in the middle of nowhere, somewhere between Meridian and Glen Rose is a little ghost town called Walnut Springs. A short trip into a junk shop turned into one of the most memorable Crazy Train afternoons yet. Definitely looking forward to a return trip. Sometimes you really can’t judge a book by its cover. Is there a more PERFECT spot for a family photo than in front of a city limits sign for a town bearing your last name? I know, right?!?!? But, to quote the poet Robert Burns, “But little Mouse, you are not alone, In proving foresight may be in vain: The best laid schemes of mice and men, Go often askew, And leave us nothing but grief and pain, For promised joy!” In other words, no city limits sign, no ghost town, no family photo…. nothing but a dot on the map. Literally. I could go on and on and on. But, why give y’all preview snippets when there are full stories to be told? Here’s to a fantastic upcoming year filled with more fun and adventure with the Crazy Train!